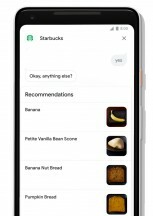 Google Assistant is getting a new interface on Android devices that will make it easier to get things done and cut the number of steps as well. 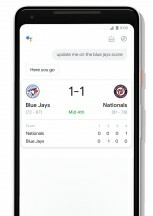 Google has announced that it will add touch-interactive elements to replies within Google Assistant for better and quicker interactions with your phone. For example, when you ask Google Assistant to dim your lights, it will now show you the relevant slider and will let you adjust the dimmer right from the Google Assistant screen. Ask it to show you photos of something, and you'll get more than just a link with previews - the new update would let you scroll through a gallery of Photos rather than direct you to an image search result. New controls and sliders to manage your smart home devices. Use dials to adjust lights, or sliders to adjust volume of your home speaker. Developers now have tools to use the device's touch screen within Assistant. Starbucks has thumbnails of its menu, Food Network has larger images in recipes, and FitStar shows workouts with GIFs. It's nice to be able to talk to Google Assistant to get things done or looked up by voice. But there's always a time when touch is just quicker than talking and waiting for a reply. The blog post doesn't specifically say whether the update is rolling out or not, but we can assume it's now rolling out on iOS and Android over the coming days. We don't see the update on our end just yet. 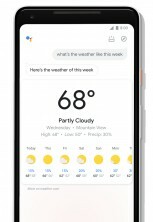 Do you see a new Google Assistant look on your phone? Let us know what device and country you are commenting from.